When it was first announced that Marriott International was making an exclusive film for its in-room hotel channel, it seemed like a cool and innovative idea. After all, Marriott hotels have a captive audience with 4,000 hotels worldwide and over 47 million Marriott members. To tap into that audience and provide original content to travelers seeking something to watch is huge. In addition, it would not just be available to folks at their hotels, Marriott is making the film available on its YouTube channel, as well. Imagine if more corporate entities were making exclusive, original entertainment content that tied more directly into their brands? There would be a rich and unlimited world of entertainment to choose from. In the film FRENCH KISS, Marriott found a clever and entertaining way to showcase not only its luxurious hotels, but a way to keep its unique audience engaged and entertained. 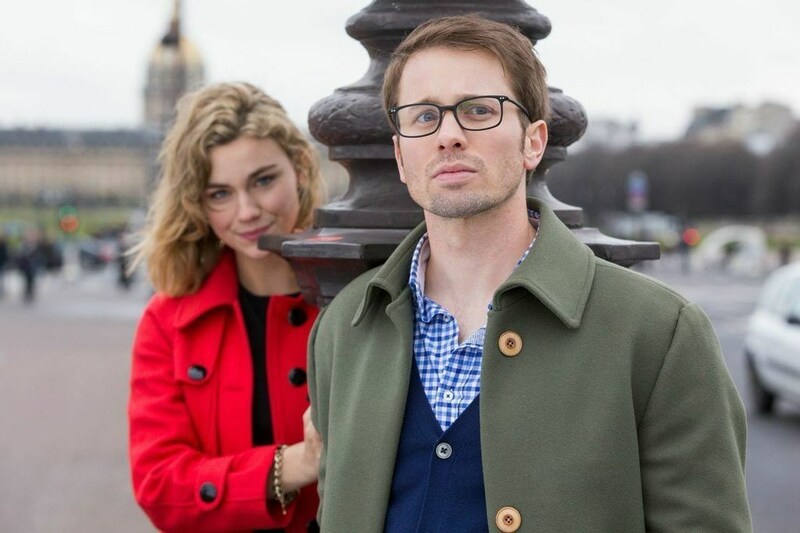 Starring Tyler Ritter (last seen in the CBS series THE MCCARTHYS), FRENCH KISS is the tale of a young man who encounters a beautiful French woman who sends him on a journey through Paris as she leaves him clues around the city for him to discover. In an exclusive interview, co-creators and executive producers Ian Sander and Kim Moses talked about the joy of jumping into this incredible world of digital media and the fun they had filming FRENCH KISS in Paris. How did you get approached to make the film FRENCH KISS for Marriott? KIM: We’ve had a long ongoing relationship with David Beebe, who is the head of Marriott Studios, and when he was ready to step out into the global market, he reached out to us because we a significant and growing footprint in the global market for Sander Moses, between what we have done with GHOST WHISPERER and also RECKLESS, which is running all over the world on the heels of GHOST WHISPERER, which is also still running all over the world; and then we bought that Turkish drama series THE END [developed for Fox as RUNNER] and had sold that which made a big splash in Hollywood. I have also been doing a lot of international speaking, which is two-fold: (1) talking about creating content globally and (2) sharing our methodology for expanding into digital markets. So when David was ready to step out on the global front in regards to content, he reached out to us with just a couple parameters, specifically, the demo that he was trying to reach, which is Millennials, and he wanted to do it in Paris — because everybody at some point in their life wants to go to Paris. He also wanted something that would have some kind of beat to it that would keep people engaged. So what we came back with is “magical realism,” as the beat to keep people engaged. Also Ian has been to Paris, but I have never been to Paris and I have always wanted to go to Paris. The other thing is networks have come to us to help them create content that will appeal to Millennials to get that valuable demo. So these were things that were in our wheel-house. The most important thing was the mission from Marriott and from there we started talking about what that story could be and how we could do it. Then we brought John Gray on as the writer/director, who we had worked with in the past for GHOST WHISPERER. IAN: John had a number of ideas, which we kicked those around and then John wrote the script and directed the film. 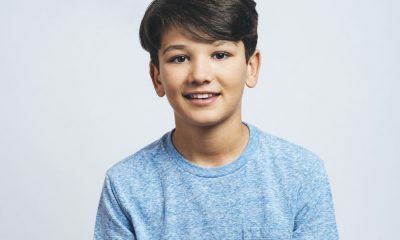 The other reason David [Beebe] reached out to us was because in addition, while we are probably best known for the television stuff we have done, when we knew him at ABC it was through our digital producing that we got to know him. There have not been a lot of people who have done both television, as well as produced digital media for digital platforms. We have been somewhat of pioneers in doing that when David was at ABC. So when David went over to Marriott he knew of our “total engagement experience,” which is when we take a show and make it a much more comprehensive entertainment experience on multi-platforms. We always thought in those terms. Now with Marriott thinking on those terms, like in the way they are distributing this film, it is a multi-platform distribution — which is where we think the world of entertainment is going. So it has been a really good “marriage” for us. KIM: The last piece of it is that we happened to be prepping this when the terrorist attack happened in Paris. So as we were gearing up to start moving into the storytelling of this, the people in Paris were incredible to us and excited about the material. Basically, what we wanted to do is remind the world that in the timeless, romantic, beautiful city of Paris, wondrous things were possible. That is where the lens of “magical realism” really came into value. The other thing that we are very much aware of — I even saw it when we were there to visit the Mona Lisa — was that there was a group of students all standing around, and they all had their mobile phones taking pictures, and yet none of them looked up at the Mona Lisa. They all saw it only through their digital devices. So in an era when everyone has their eyes glued to their digital devices, FRENCH KISS delivers a universal message that the best way to travel brilliantly is with your eyes forward. What do you find to be the biggest perk or benefit to working with online content versus traditional broadcast television? KIM: It’s easy: you have so much creative freedom. Basically, once David gave us those couple of parameters, he said, “Go create” and he really left it up to us to really steer the ship and be creative and do it the way that we knew in our hearts that it should be done and the final result is, as we have heard from David and his team, is that they are very, very pleased. We have gotten great response to it. Is FRENCH KISS just one movie, or is it an ongoing series of short films for Marriott? IAN: It’s a movie. It’s a “short” in that it is a little over 20 minutes, about 22-23 minutes long. It’s not a series. But that is not to say that we couldn’t do another one in another city. We would love to. FRENCH KISS stars Tyler Ritter, who was in a television show this past season called THE MCCARTHYS. He is a lovely, wonderful actor. We could take the character that he plays in FRENCH KISS and take him elsewhere. But, initially, the way we were thinking of it was as a short film called FRENCH KISS, set in Paris. KIM: But it is a step one because the next thing we are doing is a scouting trip with Marriott, as a guest of the French government over in Guadeloupe to look around and see if that could be a good location for a one-hour drama. So this was a first step in what, hopefully, will be a series of engagements with Marriott. IAN: But in terms of this particular movie it is a movie that is fulfilled in itself. Did you get to actually film the entire movie in Paris? KIM: Yes! It was amazing to be in Paris. We shot a lot of it in the streets of Paris, which itself is a challenge because it is a bustling city, at the same time, it is incredibly visual, amazing experience. It is so gorgeous there and it was so much fun to be shooting in the streets of Paris. IAN: Needless to say, it is one of the greatest cities in the world and it is certainly one of the most visual cities in the world. KIM: And very accommodating. We and our cast stayed at the Marriott in Paris, and we have a scene that takes place in the Marriott — and you had asked what are the benefits, to be working with people who are in the hospitality business and everything they do is a production as well — it was an amazing experience. Everyone was incredibly supportive. How did you go about casting FRENCH KISS? You obviously knew Tyler’s work, but how did he come on board with the film? IAN: It was the same way we casting anything, we got submissions from agents and we had some ideas for some of the people. So we sent the script to Tyler’s agent, who gave it to him and he jumped on board instantly and got to come to Paris for a week. Between prep and shooting, he got to be there a little more than a week and he got to play a wonderful character. When you see it, he is absolutely engaging in this movie. It was like the perfect match. He’s got a lightness about him, he’s got a humor about him, and yet there’s some depth. The film is grounded even though it’s “magical realism.” Tyler’s ground and he’s just delightful. I can assure you when you see the movie, it will make you laugh and you’ll even get a lump in your throat. To accomplish that in 22 minutes, we figure that is a success. KIM: And Tyler’s adorable. He’s so talented. He comes out of comedy, and yet he also has done a lot of drama. So he is the perfect person to play this character. He’s also got so much enthusiasm and is so boyish and adorable that the experience of filming with him was fantastic. He tells this story of how when he landed in Paris, he was so excited since he hadn’t been there for nearly eight years and when he went the last time he had not appreciated the opportunity, so when he landed with his wife and they were driving towards the city of Paris, he was so excited and said to his wife, “That is the most beautiful building, did you see that?” And she turned to him and said, “Honey, that is the air traffic control tower at the airport. They have one in every city.” So imagine how excited he was to see the Eiffel Tower. IAN: (Laughs) Which, by the way, is very much the character that he is playing. KIM: He was just the most adorable and charming. IAN: Tyler was the only American we cast in the film, the rest were cast in France. KIM: That was amazing too because the French film business is a much smaller industry, and the people there no matter what level of film making they are doing, they are like real filmmakers. They are pros. So the experience to work with these people, it is a craft that they live and die on. It’s amazing. It was really a great filmmaking experience. IAN: In FRENCH KISS, there are two main characters, and the other character is portrayed by a French actress Margot Luciarte, who plays a character by the name of Margaux. She is the female ingenue in the piece. KIM: She looks like Ingrid Bergman. She’s very beautiful in a natural way and she looks like the real thing. So that was also a great experience. Her English was fine, but our French was terrible, and then very one could speak a little Spanish. So it was very much an international production in that speaking Spanish seemed to be as easy to communicate in as English or French. How do you describe this movie? It is more of a romance, more of a comedy, more of a mystery? IAN: It’s a romance. Yet it has some mystery as I think life is a mystery — otherwise, why would you turn the page. I guess if you want to call it a romantic mystery, then that would be something that works very well. It will also certainly make you laugh. But it’s very romantic. KIM: We hope we have done a tip of the hat to the French filmmaker/director Michel Gondry, who we all admire. IAN: We also loved the movie AMILIE and FRENCH KISS has that kind of magic to it. For viewers that want to watch FRENCH KISS, where will they be able to watch it? IAN: If you go to frenchkissmovie.marriott.com, there is a trailer current available and the film will be digitally available — both in-room and online through Marriott.com and the Marriott YouTube Channel on Tuesday, May 19th. KIM: The other thing that we were excited about working with Marriott was they have this incredible outreach and relationship with people who are fans of their brand. IAN: They have 47 million Marriott Reward Members and it is our understanding that they get 35 million views on their website a month. KIM: They have hotels in over 60 countries around the world and they have 17 different chains. So it’s everything from the traditional Marriott, all the way up to the Ritz Carlton and the Ian Schrager hotels. They have televisions in all their hotels and our understanding is that this film is going to run on their televisions and it is going to air in eight different languages. They have the website with over 35 millions visitors a month. What network wouldn’t want that kind of following and engagement for their clientele? So for us to do a piece of content and for it to actually get that kind of engagement from an audience around the world is pretty spectacular in this day and age. IAN: The interesting thing to know is that it is not a commercial. When you look at it, it is not a commercial. It is a film that happens to have the product integration, but it is in no way a commercial or anything like that. It just happens to be produced by us and Marriott International. It just works as a film. Also, in addition to the online premiere on May 19th, we are also premiering the film in Paris the following week. How did you decide upon the length of the film? IAN: We knew that the lens that we had talked to Marriott about was going to be a short film, which would end up being anywhere from 18-23 minutes. That was what we were looking for. That’s mostly a good amount of time for people to be looking at digital media and in-room media. We felt that would be the right length. KIM: We were told by the studio to tell the story in the length of time that it takes to sustain that story. So the freedom to do that was pretty fantastic, as opposed to traditional platforms. IAN: When you’re doing television, the length is very specific. Feature films are less so, but when you are doing television it is very specific and we had been doing television for some time. So the idea of having the freedom to make it the length that was just right, was freeing. KIM: There’s this new game in town — this brand new content — and Marriott is leading the charge in regards to that. It is no longer effective to stand at the mountain top and shout about your brand through these big, broad commercials. But to create content that your loyalist audience is engaged with and to allow for them to really connect with the characters in this style of storytelling, that is to woo them more and let them know what is valuable to the brand. So for us to be on this path with Marriott, to be path-finders, is really fantastic. We do a lot of analytics and research, and you will see there will be a lot more brands following suit as we move forward into the future with regard to creating brand content, like FRENCH KISS. You are invited to join in this romantic adventure as Ethan (Tyler Ritter) meets this mysterious woman Margaux (Margot Luciarte) and she opens his eyes to the magical beauty of Paris. Just what lies at the end of the FRENCH KISS rainbow? Just watch and find out! Launched in September 2014, Marriott’s Content Studio is dedicated to publishing, distributing and sharing digital content across multiple platforms and on all screens. To further the company’s focus on next-generation travelers and to drive new business, the studio aims to own original content marketing and produce engaging content that builds worldwide communities of people passionate about travel that will drive commerce to the company’s hotels. 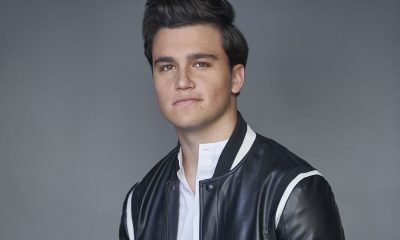 Producers Ian Sander and Kim Moses of Sander/Moses Productions/SLAM have inked a deal with MCS to develop a branded digital project together (http://www.sandermoses.com/whoweare). “In an ever-changing world of content creation and 21st century global interconnection it is really exciting to be teaming up with a premium travel brand like Marriott in the digital content space” said Ian Sander of Sander/Moses Productions/SLAM. Sander/Moses have an astonishing eleven TV series (including Ghost Whisperer and Profiler) four feature films (including D.O.A. ), and dozens of digital projects to their credit.